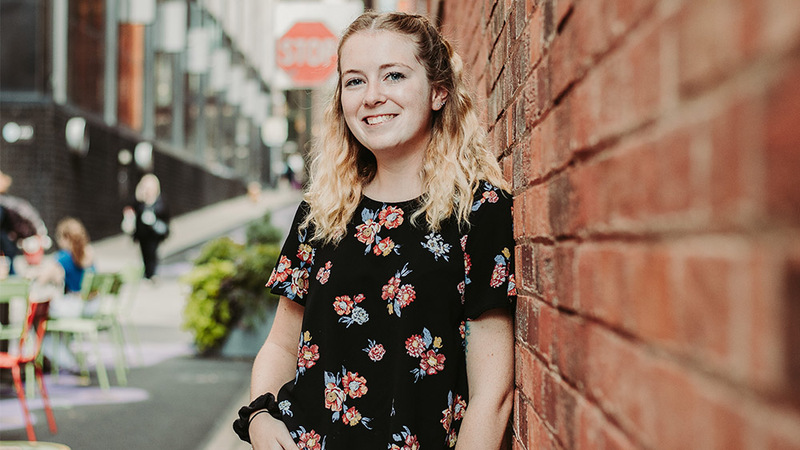 "I have completed a variety of significant tasks and projects [at my internship], both independently and with coworkers, taking what I’ve learned in the classroom and applying it to real financial situations." I grew up thirty minutes outside of Pittsburgh and have always loved the city environment. I toured other schools in the area, but Point Park was the only one that really caught my eye because of its Downtown location. Some of my favorite views of the city can be seen right from our campus, and I love being within walking distance of great places to eat or grab a coffee! I am a member of the Honors Program and I'm the treasurer of the Student Accounting Association. Recently, I became a student ambassador for Surgent CPA Review, which allows me to inform students about the CPA exam and show them the benefits of using study materials that are tailored to each user. How is your internship at Verland helping to prepare you for a job in your field? For several months I have been a fiscal intern at Verland, a non-profit organization that supports individuals with intellectual disabilities. My time here has been crucial in preparing me for a job in accounting and has introduced me to working in a professional setting. I have completed a variety of significant tasks and projects, both independently and with coworkers, taking what I’ve learned in the classroom and applying it to real financial situations. As a commuter, what advice would you give to others who are commuting or are thinking about commuting to campus? I lived on campus my first semester, but it just wasn’t for me. I know there are a lot of perks to living on campus, but Point Park is still a great environment from a commuter’s point of view. There are so many places on campus and in the city where you can relax between classes or use extra time to study. I would definitely recommend commuting to any student who isn’t able to or interested in living on campus. Just do your research first to be aware of public transportation and/or parking in cheaper garages and lots. I absolutely love mysteries and crime stories, so I was trying to find a career path that would relate to my interests. For two years, I struggled with an undecided major and took courses like Introduction to Death Investigation. It wasn’t until my junior year in Forensic Accounting that I felt I had finally found a good fit for me. There are so many opportunities within the accounting profession, but I think it would be really interesting to pursue a career in forensics. Don’t be afraid to try something new or get involved in an organization! I learned so much about the accounting profession outside of the classroom by being involved in SAA, and I was fortunate enough to travel to New York with the Honors Program and see a live recording of the Tonight Show with Jimmy Fallon. You never know what great opportunities will arise during your time at Point Park, so take advantage of each one.